My love for travel and exploring new destinations was not going to be put on hold when we decided to start a family. However, I did know that certain destinations would be off limits for a while and that sacrifices were to be made. My road trip in the USA from New York to San Francisco is a perfect example of an adventure that could have been a disaster if a newborn baby was my +1. Now that my little girl is 3 months old, what better time to introduce her to the wonderful places and sights our country has to offer….will she remember it? Probably not but I certainly will. Our garden route adventure begins in October and we’ll be covering a few places in our two week road trip. Starting in Cape Town, our first stop will be Knysna. I have always loved Knysna but haven’t stayed there as yet. I am certainly looking forward to it and cannot wait to review a hotel or guest house that’s perfect for the young traveling couple with a baby in tow. We recently spent the day at Bakwena Day Spa which is located at Sante Hotel in Paarl. Set in magnificent surroundings, Bakwena is the perfect place to escape to when you need a break. Bakwena Spa was developed by offering an innovative and creative approach to spa and spa therapy in South Africa. We were treated to a full day package which exquisitely spoils and indulges you the whole day long. We began at 8am with a light breakfast and that gave us the time to absorb the beautiful views of the mountains and vineyards. Shortly afterwards, the much awaited treatments began. Each treatment was an hour long… it was pure bliss! Ancient stones carrying the energy of the earth invigorate and stimulated our body as warm oils are drizzled all over. The stones helped release the tension trapped deep within our muscles and improved circulation for sure! A one hour foot massage on sore feet can feel like heaven, let alone the wonderful relief one gets from a massage on your ankles and calves! We started of with this massage and it definitely set the tone for the day. I am pretty certain Jacques fell asleep during this treatment. Calming for the mind surprisingly deeply relaxing, ideal for the workaholic or those who endure mental as well as physical stress. I loved the shoulder massage, just the right amount of pressure was applied and I am certain I said goodbye to many knots. Because we use our hands and arms in almost everything we do, it makes good sense to be kind to them to ensure loving hands can keep on giving. Prepare your skin for the African summer with a full body exfoliation. We both chose the apricot exfoliation which definitely left our skin radiantly beautiful and soft, not to mention smelling delicious. The facial was amazing and was a 5 step process. The mask was made from clay and I noticed a huge difference afterwards; my skin was clearer and tighter. There was always enough to eat starting from a light breakfast, a full lunch and a snack platter in the afternoon. Drinks were flowing around the pool as well as sweet treats for those feeling for something to nibble. In the midst of our treatments, we were given an hour to just rejuvenate with a splash in the pool and jacuzzi. I am already planning our next visit to Bakwena, it is the best value for money you will receive. We felt the stresses and tensions melt away as each treatment focused on our harmony and well-being. At the end of the day we felt radiant and in a state of deep relaxation in mind, body and soul. Let’s face it, sometimes cheap is not always the option you go for, especially when flying. Sometimes spending just a little extra can ensure you get extra leg room, baggage allowance, more miles and just better reliability and trust. The South African airline space is not extremely competitive, with only a few operators dominating popular routes, you are not left with much choice and can sometimes fork out around R3000 for a single ticket (if you are desperate). Introduce FlySafair and we now have a true low cost airline. When FlySafair launched I must admit I was very hesitant to fly with them. Surely there had to be something wrong with either the aircraft or the service for those prices?! Ticket prices were as low as R199 one way and that I just could not fathom. This week I was forced to fly FlySafair and it left me very impressed! A round trip to Johannesburg cost less than R1000 – this blew my mind! It was far more cheaper than any of what the other airlines were offering. So what’s the deal with FlySafair? Tickets are super cheap but you pay R150 to check in luggage (carry on luggage remains free) – no problem here as this is adopting major international models especially in the USA. It is the perfect solution for business travelers. You can check in online 24 hours before your flight and the process allows you to select seats including selecting the exit row. Extra leg room? Why, yes thank you! Pricing of snacks is affordable and on par with other airlines however the options are limited. It’s best to just grab something from the airport before boarding. It’s a pity but there isn’t a loyalty program as yet which means no airline miles. However I am certain this is soon to come. The flight attendants don’t seem to have tons of experience and the pilot does not make many announcements throughout the flight. The price of airline tickets in South Africa are sky rocketing and I definitely see myself booking a lot more flights via FlySafair again soon. Will you give them a try? LIKE | SHARE | COMMENT AND WIN! Who doesn’t need a luxurious break at a 4* Guest House? 3Flavours Guest House is perfectly situated to serve as a safe haven from which you can explore The Overberg and surrounding countryside. 3Flavours Guest House has a magnificent setting in the heart of the Cape’s uniquely rich fynbos region. They provide breathtaking mountain and distant ocean views from the comfort at our 8.5 hectare fynbos farm on the outskirts of Pringle Bay. Its super simple, all you have to do is Like my Facebook Page and the 3Flavours Guest House Page and comment on this post. Tell me why you need this break and tag the person you would take with you. Good Luck! Bathurst is located in the Eastern Cape and its chief claim to fame is that it was the early administrative centre established by the British Government for the 1820 British Settlers. The town is quaint and does not offer tons of attractions to its visitors but the little that it does offer is quirky and nothing short of charming. Many of the original settler houses and other buildings have been preserved, and there remains much of the look and feel of an English village of the early 19th Century. The Pig and Whistle Inn, built in 1821, is at the heart of the village and is reputedly the oldest extant pub in the country. 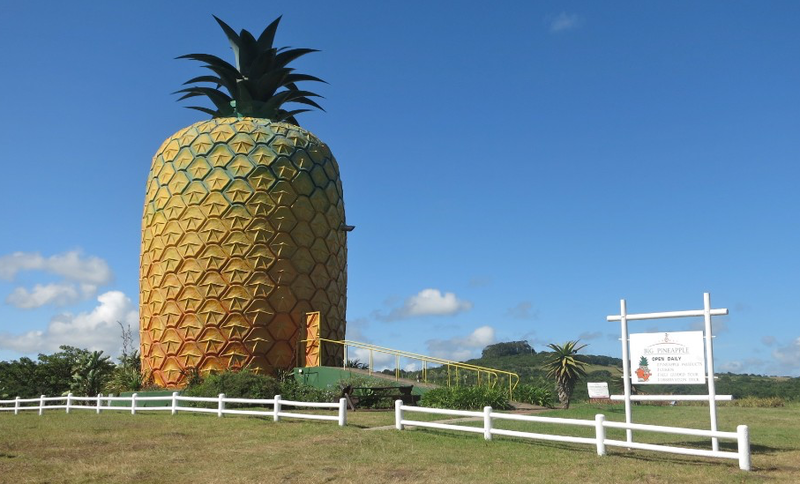 We visited the iconic Bathurst Pineapple which is a 17 meter tall pineapple and home to the pineapple museum. It’s only a R10 admission fee and there’s tons of interesting facts to learn about pineapple farming. A must see, even if it’s just to snap a picture of the ginormous pineapple. I am always surprised by the amazing shops hidden away in towns like these. Bathurst has so many wonderful little shops with interesting things for sale. My favourite is Tales Of Antiquity. It is hard to describe but if you can picture a secondhand vintage shop with a mixture of antiques, clothing and bric à brac then you can imagine that Tales Of Antiquity has a lot to offer. I was thrilled to find so many gems including vintage dessert bowls; R110 for 6 and fine bone China tea cups for R35. If you’re looking to host the ultimate vintage tea party then this shop should definitely be on your list of things to see in Bathurst. CNN rated Bathurst South Africa’s most eccentric town and now I definitely know why. Make sure you have an entire day to spend here and preferably on a Sunday when the Farmers Market is on. Don’t worry, all the shops are open till late on Sunday too! It’s been a few months since I have embarked on a road trip and this could not have come at a better suited time. More than ever do both my husband and myself need to escape for a few days and what better place to disappear too than Port Alfred. Port Alfred is located in the Eastern Cape and is the heart of the Sunshine Coast. It is a small town with not much to see in the town itself but its peaceful and serene… exactly what the doctor ordered. Hard to believe but we both have quite a few close family members who live here and are loving it. So, we plan on spending enough time with family as well. We start our road trip early Friday morning and plan to explore everything alongside the Garden Route. There are amazing attractions close to Port Alfred including the unique town of Bathurst, Grahamstown and Kenton on Sea. Bathurst is heart of settler country and home to South Africa’s oldest inn. Wow! Do you have any suggestion of places to visit and things to do? Let me know!